If no one knows about your conference, you’ll be waiting in vain for people to sign up. It’s important to make sure as many people as possible will hear about it. Using the likes of Facebook, Twitter etc. is of course the fastest way to get through to them though not all social networks are suited for targeting potential attendees. Therefore choosing only those networks they use the most seems a lot wiser than being present on multiple random ones. “The more the merrier” doesn’t apply in this case, it often leads to nothing but wasted coverage instead of having a positive effect on the number of registrations. If you’re already actively using social networks for your organization, advertising the event there as well is a good idea. But don’t rely on the internet exclusively when looking for potential attendees. It’s usually helpful to run ads in specialist journals. Don’t forget to create promotion material or appoint an external service provider to design and print posters and leaflets. Make a list that includes all expert associations and university departments who could be interested in your event and ask them to put up your posters and display the leaflets. Good advertising doesn’t have to be expensive. If you’re clever, a large part of your promotional activities won’t cost you anything. Instead of focusing on costly ad campaigns, you might want to start with utilizing your own advertising space. The most lucrative of these spaces is probably your website. Announce your event there and tell people where they can sign up. That would be something for your email signature too since it’s got the potential to get all recipients hooked on your conference. Do you have a mailing list for your newsletters? Time to prepare a new one in which you inform everyone about the upcoming event. A press release can be equally worthwhile when you publish it on your website and send it out to media representatives as well as owners of websites and blogs interested in the same topics as your event. Your social media profiles aren’t just for regular updates: There’s a spacious header image on your Twitter, Google+ and Facebook profile that offers more than just a bit of room for some basic information about your conference. If you’re planning on using Twitter, set an official conference hashtag first. Otherwise it wouldn’t be so easy for you to see who is tweeting about your event. Do you and your colleagues have their own LinkedIn or Facebook accounts? Posting something about the upcoming conference there won’t do any harm. If you follow the last advice we gave you under #2, then you and your colleagues are exactly what one would call influencers. Those are people who make others aware of an event away from official channels. They’re particularly useful since you won’t be able to get through to everyone though it may very well be sure that they exist and that they would even sign up for your conference – provided they’ve learned about it before the registration deadline is up. So when promoting your event, think of people who might support you a little along the way. Focus on your speakers as it’s surely in their interest as well. None of them would want to talk to rows of empty seats. If you know bloggers with a huge following and an area of interest similar to your event’s main topics, include them too. The bigger their network, the more people will learn about your conference. Thank them for spreading the word and reciprocate by gifting something in return such as coupons for the event. Discounts are a source of happiness for other people as well. When we analyzed some of the conferences organized with Converia, we found out that an early bird rate is an effective way to drive people’s behavior when it comes to registering for an event. According to our findings, the majority of people has a tendency to sign up shortly before the deadline is up. So no need to be concerned when the number of attendees isn’t as high as expected when there are still some early bird days to go. If some people remain on the fence about buying a ticket, you might be able to convince them by offering a vast range of tickets. Don’t worry about it being too much for them to choose from – they’ll be glad to have a choice and will settle for their favorite option. At multi-day events, you’ll always find people who just don’t have enough time on their hands to be there from start to finish. That means if someone wants to attend only one day and finds out there are no one-day tickets available, the lack of choice would probably restrain them from signing up because they won’t be willing to pay for all days. Besides, refrain from imposing a mandatory schedule on everyone. Especially when it comes to the social program, it’s always better when individual items can be booked optionally. An efficient way to set your ticket prices is to charge different groups different prices. For instance, you could set special lower rates for students, apprentices and members of your association. Before you start creating the registration form, make sure that your registration software of choice lets you set different price categories. 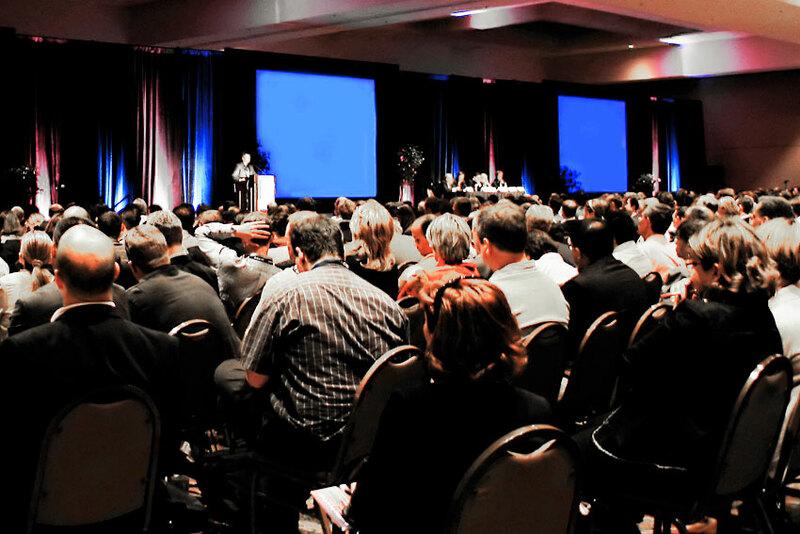 Think about this: Aside from topics and presentations, what would be able to convince you to attend a conference? Would the location be something to attract your interest? When it’s a city you’ve always wanted to visit (again) for a few days, attending the conference would give you the chance to combine business with pleasure. And even if the city doesn’t seem to offer anything spectacular at first glance, you’ll probably find something worth promoting as soon as you look a little closer. Maybe there’ll be an interesting exhibition that takes place at the same time and you’ll even manage to negotiate discounts for your attendees. Something like that certainly adds to the reasons why everyone should sign up. Or you’ve put together a social program that is extremely hard to resist. Just highlight all of your event’s amenities, being creative will pay off. The end of this year’s conference just means you can now focus on planning the next one. So if your current event will get its sequel, you should ensure that you haven’t seen the last of your attendees either. Use the closing ceremony for a little outlook: When and where is the sequel going to take place? What do you know about it so far? Keep in mind that you’ve got those in front of you who you were able to convince that buying a ticket for your current event was worth their money. Try to persuade them that buying one for your next event is going to pay off as well. In order to reward them for their attendance, announce a special discount for everyone who’s in for the next conference. The Converia team was always friendly and ready to help and responded quickly to all our requests.